A new study highlights China’s growing air power, and warns that China is looking to build out its Air Force to the point that the U.S. would not be willing to take it on in direct conflict. The Project Air Force team at Rand Corp. describes an emerging Chinese air force that aims to rival the United States' own, both technologically and strategically, often by mirroring U.S. military capabilities and doctrine. Copying or innovating their own capabilities are both valid pathways to this goal. However, “the lower cost and higher speed of the copying and adapting approach appears to have made it a preferred approach whenever available," the report reads. Different services prefer different styles, however. The People’s Liberation Army Air Force, or PLAAF, tends to copy, while China’s missile and space programs are more frequent innovators. Unlike the U.S. military, China’s strategic missile forces act as their own service. The Rand Corp. report was originally shared with Air Force leaders in September 2017, but was made publicly available this month. 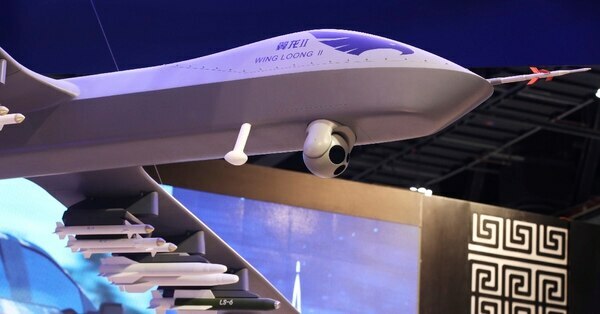 In it, researchers documented the restructuring of the PLAAF and the technological innovations the country is looking to develop as it cruises towards a possible confrontation with the United States. The PLAAF is one of five branches within the larger People’s Liberation Army, the name given to China’s armed services. China’s power projection strategy appears to be built around the development of precision-strike ballistic and cruise missiles, supplemented by a dense web of surface-to-air missiles and advanced fighter jets. “The main driver for Chinese military aerospace power development is the PLA’s view that it needs to be prepared to deter and, if necessary, defeat the United States in a high-end clash,” the Rand report reads. The report added that the PLA tends to copy foreign military technology, organizational designs and operational concepts where it suits them, but is not incapable of innovating its own solutions when needed. PLAAF writings often cite the U.S. Air Force as a model for their transformation into a “strategic air force,” which they define as one not bound to defending China’s air sovereignty but capable of supporting China’s national policy objectives. The Chinese military appears to be mirroring that with their own developments in the arenas of strategic intelligence, surveillance, and reconnaissance; tactical and strategic airlift; and strike assets, according to Rand Corp. The report recommended that the U.S. Air Force strive to understand the advances China is making in those domains, as well as in space and within space-based satellite architectures. In addition, the Air Force should monitor a range of other PLA investments and changes, including in the realms of doctrine, organization, training, manpower, logistics, procurement and facilities. “Many U.S. observers have also seen similarities in PLA hardware and operating practices that, at least superficially, appear to be derived from the observation or theft of the United States’ or other countries’ technologies and practices," the report reads. A chart within the Rand report highlights areas in which the Chinese tend to copy the U.S. Air Force. The top of the chart notes large degrees of similarities between the PLAAF’s J-20 and J-31 stealth fighter jets and the U.S. Air Force’s F-22 and F-35 stealth fighters. In areas like bombers and precision strike, though, China exhibits much less similarity with U.S. counterparts. The PLAAF’s close-air support capabilities are also much more limited, the chart notes, hinting at China’s expectation for a conflict with the U.S. to be relegated to naval and air combat around the South China Sea. That could portend a weakness in China’s doctrinal approach, as they may not anticipate the need to engage in air-to-ground combat on the Chinese mainland or elsewhere. In a similar vein, the U.S. military’s reliance on satellite-based targeting could be a weakness China seeks to exploit. China has not put significant money into space-based satellites for ballistic missile early warning like the U.S. has. China’s most advanced stealth fighter is ready for aerial refueling operations, giving it the ability to pursue targets at greater distances. “Instead, China’s space efforts have focused on signals intelligence-gathering and espionage satellites; the use of space to support its economic development and soft power; and the development of space-denial [i.e., anti-satellite] capabilities,” an expert interviewed in the Rand report said. More recently, China has begun to copy the U.S. Air Force on its aerial lift and refueling. Until a few years ago, China did not have any political need to project power over great distances. That could be changing as the country shifts to protect investments in Africa and play a larger role abroad. However, much of what is known about China’s air power is based on open-source information. Like their U.S. counterparts, China’s leaders do not publicize all military developments. “Such knowledge is also useful during times of peace to prevent military-to-military contact that might unwittingly help the PLA further advance its capabilities,” the report concludes.